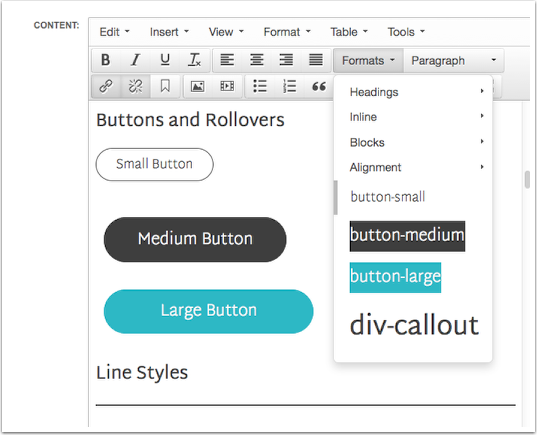 The content editor box allows you to assign custom classes/styles to elements in the content area of pages, articles, etc. You can access the styling by using the dropdown menus across the top of the editor box. 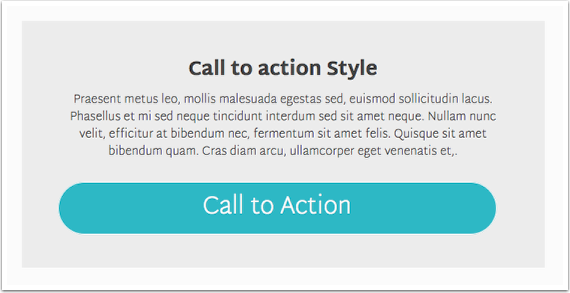 There are 3 custom button options for your site. You can highlight text in your content area, select the link icon to assign a link and then choose the button class from the formats menu. The three options are "button-small," "button-medium" and "button-large"
A div tag can be assigned the class "div-callout" and will wrap its content in the section background color.